Neck is often affected by skin laxity and loss of elasticity and firmness. The best treatment for this area is radio frequency, which induces a contraction of the collagen fibers and stimulates a compaction of the dermal matrix. This therapy is often combined with micro-injections to improve skin moisture and firmness. 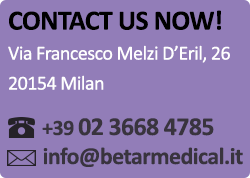 Book an appointment at Betar Medical for neck skin tightening treatments.